Dan Breen has long been overdue a modern biography and this is indeed the account many of us have been waiting for. Fair, balanced and very detailed it takes us from Breen’s earliest days through his revolutionary career in both Ireland’s War of Independence and Civil War, and to his later life first in political exile and then back home amongst his people. Joe Ambrose is a noted writer and critic and his literary ability shows in this highly readable and well judged biography which does more to bring Dan Breen, the person, alive than any other work I’ve read. 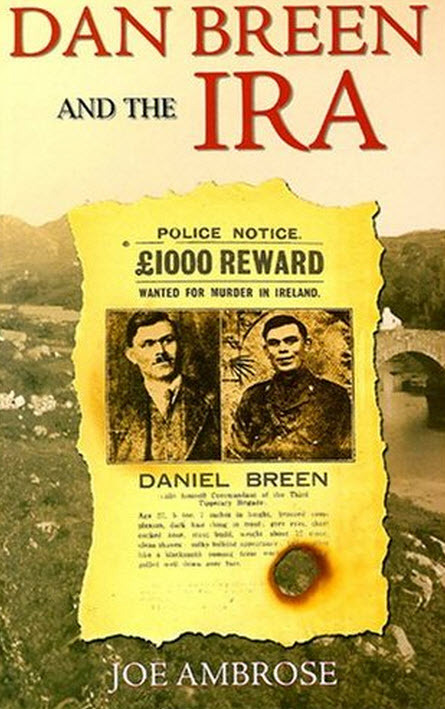 For those wishing to read Dan Breen’s own highly personal and fast-paced account of his life in the Irish Revolution, `My Fight for Irish Freedom’ is now regarded as one of the classic literary works of Ireland’s War of Independence and is highly recommended.